← Do The Padres Have the Hardest Thrower in All of Baseball? That’s Ben. Ben is on eBay. 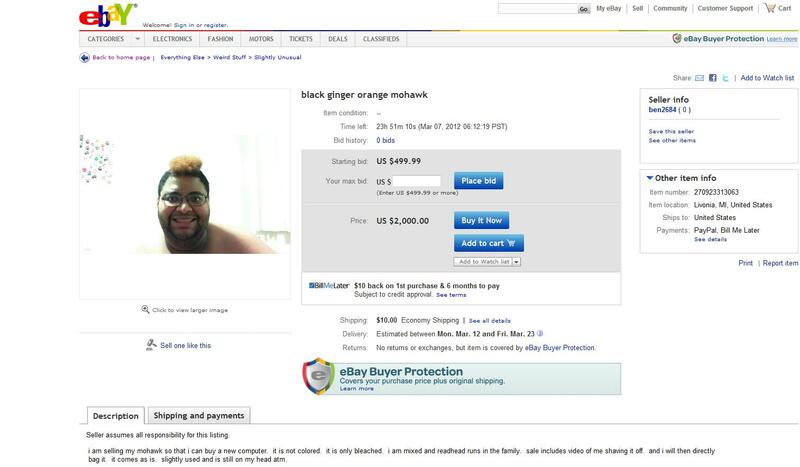 Ben is selling his bleached mohawk on eBay. Here is the description: “i am selling my mohawk so that i can buy a new computer. it is not colored. it is only bleached. i am mixed and readhead runs in the family. sale includes video of me shaving it off. and i will then directly bag it. it comes as is. slightly used and is still on my head atm.” Here is the screenshot: Click to enlarge. 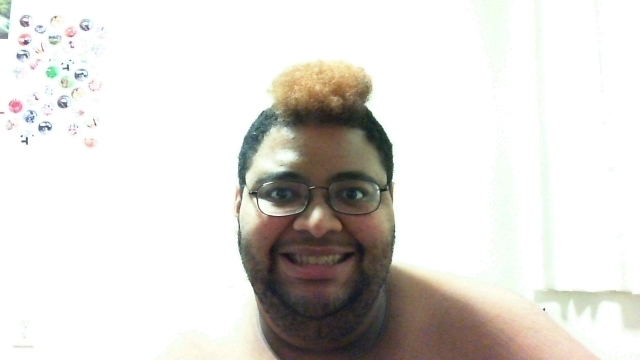 This entry was posted in Entertainment, Events and tagged ebay mohawk. Bookmark the permalink.